She’s not nervous, she’s been practicing and training for this for a long time now. She’s finally in the spotlight, everything is ready, the music, the crowds, the judges and the space. She’s excited but calm, she’s a professional gymnastics expert, she doesn’t let the crowd or anything else for that matter faze her. She’s trained her body and her mind throughout these past few years, she’s taken on many challenges to get to where she is today. She is proud of that fact and she is striving to take home the gold. She’s paid attention to her appearance, she has appropriate makeup on, he face shines, not too brightly, just right. Her leotard is elegant, it embraces her slender body. The music starts to play, she moves along with it. Within the span of a few minutes she has done her task. She is confident that she nailed the routine. She moves on, ready to face the next challenge. She’s sure that she won. Rhythmic gymnastics is her sport, many might not know about it and appreciate it, but she does and she is proud of her accomplishments and her training. Have You Heard of Rhythmic Gymnastics? If you haven’t heard of rhythmic gymnastics , it is definitely one of the types of gymnastics you want to hear about. It is an interesting and fascinating sport. This is one segment of gymnastics that is exclusive to women. That’s right, women are the ones who are able to take the lead in this sport and dazzle an audience with their prowess, strength, integrity and gymnastics acumen. It is a fine activity indeed. It certainly requires a significant amount of gymnastics training and one must give strong devotion and commitment to this activity. It is for those who feel the music and are able to show that they are in tune with the varied sounds of life. Let’s talk about one such gymnastics expert who participated in this segment of gymnastics, and who has the strength to inspire you and motivate you to continue to learn and grow in this sport, we guarantee it! Mamun was born in 1995. She is known for her participation in the individual rhythmic gymnastics. She is now retired but she has had an interesting career and just as much of an interesting story. Mamun hails from Russia. Her father is from the Southern Asian nation of Bangladesh, while her mother is Russian. One of her parents were involved in gymnastics, can you guess which one? If you guessed that it was her mother, then you are spot on. Mamun trained through rigorous gymnastics classes and then made it to the Olympics. She was a gymnastics champion. However, Mamun retired at the young age of 22! She must have felt that she accomplished what she started out to do and didn’t need to proceed further on this this particular aspect of her life. It is after all, a grueling life. One must conduct rigorous training and be able to overcome the voice in their head that tells them no, that they cannot do it. However, those like Mamun who chase their dreams to achieve their goals leave a significant imprint on the world, that is cherished for years to come. We can only congratulate Mamun for her success and for her commitment to gymnastics training as she progressed throughout her life. Taking inspiration from her, you can very well start looking into the aspect of rhythmic gymnastics yourself or seek out the help of a professional. It’s critical for every gym in the US to be using gym revenue management solutions. Most people never stop to consider this, but the gym, fitness center, or health center that they go to is just like any other small business. These facilities primarily rely on revenue from member dues, although some gyms also make money by selling nutritious drinks and food to their members. Regardless, in order to stay open they have to be able to bring in more money than they’re spending. That means they have to market themselves to the public in order to attract new members, and it means they have to constantly improve the experience at their gym in order to retain the members that they already have. If they want everyone who signs up with their gym to stay a member for a long period of time, then they need to make sure that they’re offering services and amenities that those people enjoy. If they like their gym, then they’ll remain paying members. However, one of the issues that many gyms have but don’t realize is that many monthly payments get missed. A fair number of gyms in the US are using antiquated systems to bill their members each month, and that means that some of those members simply aren’t being billed on a consistent basis. Believe it or not, some gyms still keep track of member payments with pen and paper or with an Excel document, and those types of tracking systems often lead to errors. Thus, the gym is missing out on money that it’s rightfully owed, and that negatively impacts their revenue. This is why it’s absolutely critical that all gyms in the country be using gym revenue management solutions. 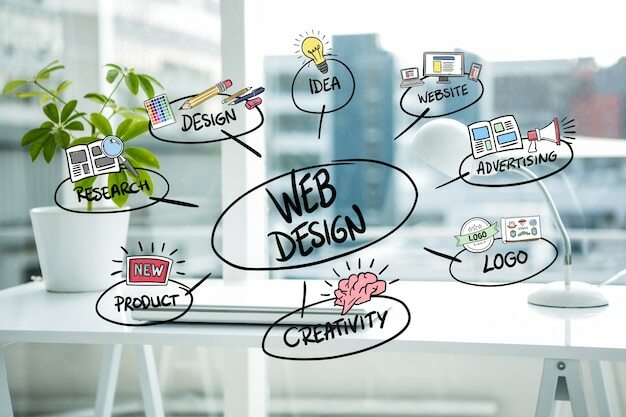 Such solutions are essentially software that are operated by an outside company. The company will set up the software for the gym, and then the software will take care of all billing for the gym or health center. Rather than having to track the payments themselves, this software will automatically take money out of the accounts of each member of the gym on a specific day each month. Each member will provide their debit card, credit card, or routing number, and then their monthly dues will be subtracted from their account. This system helps to ensure that every single person using the gym’s facilities is actually paying their dues each month. No members slip through the cracks, and the gym is able to get all of the revenue that they should be getting. This helps to ensure that their revenue is as high as possible, which in turn helps them keep their doors open. Most gym owners decided to open a gym because they wanted to run a business that made a difference in people’s lives, but if they aren’t earning any money, then they can’t stay open and they can’t make that difference. 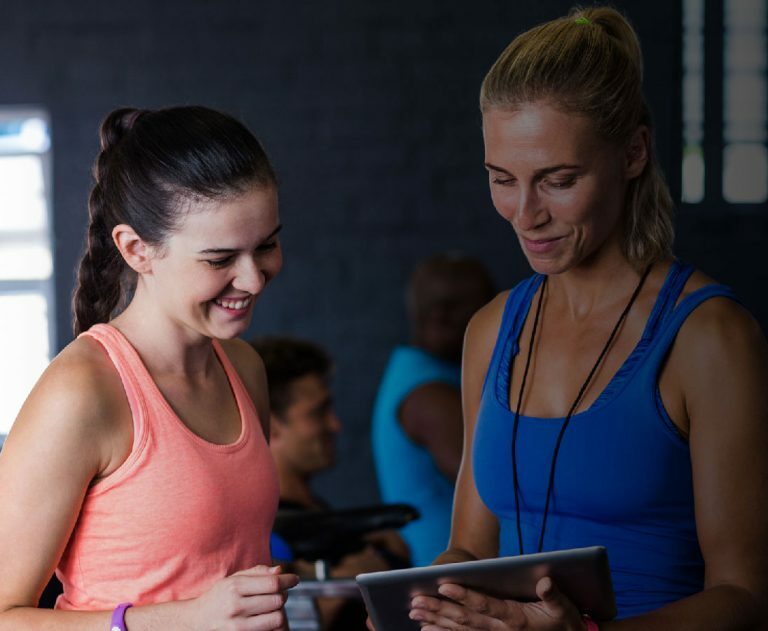 Fitness club revenue management solutions make it easy for gyms to bill their members, freeing up their time to actually run the gym in the best way. When their billing is taken care of by gym revenue management software like Debitsuccess from TSG, they can focus on enhancing their gym experience. This helps them retain members, which is also essential to helping them keep their doors open. Are you looking for a dentist in Denver? If you’re new to the area, or you need to change dentists for some reason, finding a new one can be intimidating. However, you don’t have to worry because there are plenty of great Denver dentists. Here’s how to choose the one that’s right for you. One of the best ways to find a dentist you will love is to know that someone you know already loves them. Ask your friends, ask your family, ask your neighbors, and even ask your co-workers. Someone has got to find a dentist that is close to you, that takes your insurance, and that you will love! If you have dental insurance, there’s no reason not to use it. In fact, using your insurance could save you quite a bit of money, even on simple things like cleanings and cavities. Before you go to any dentist, make sure that they take your insurance. If it’s relevant to your coverage, make sure that they are a preferred provider. This will help you save as much as possible. While it’s awkward to ask your friends and family to open their mouths so you can look at them, one of the best ways to find a Denver dentist is to take a look at the work they’ve done. Many dentists have photographs that highlight their greatest hits. Others may be able to direct you to people who can act as references. You’ll want to make sure that your dentist can do the kind of work that you want to have done. Make sure that any Denver dentist you choose has all the licenses and requirements to do the work that you want to have done. For instance, a degree in dentistry is essential. However, it can also be important that your dentist has further training in things like cosmetic dentistry, veneers, Invisalign, etc. Otherwise, your dentist may not be an expert at doing the work that you need to have done. If it all possible, make sure that you can meet a dentist before you schedule an appointment with him or her. This will help ensure that you find a dentist that you really like. Many people get anxiety or nervousness when they think about going to the dentist. When you’re working with a dentist that you like, you will be less likely to have these experiences. Choosing a dentist can be stressful, but it doesn’t have to be. When you talk to your friends and family, check with your insurance, check your dentist’s credentials, and make sure that you like the dentist, you’re likely to find a dentist who you can work with for many years. Long-term dental relationships are some of the best. It’s always good to know that your dentist knows your teeth, knows your mouth, and knows your medical history, because all of that background helps them do their job better. The history of engagement rings is very extensive and goes back to ancient times. Some believe the Egyptians were the first to have engagement rings. In pretty much all eras and places the woman wore the engagement ring. It was a way of showing that the woman was taken for. Today engagement rings signify that a person is going to be married. A person will give their significant other an engagement ring when they want to be married to that person. If a person accepts then that is a sign there will be a marriage ceremony soon. An engagement ring usually features a diamond but it can also have another type of gemstone in it. Also, engagement rings can be simple and not have any diamond or gemstone. There are also some places where partners will wear matching engagement rings. In the US and most other places, people wear their engagement ring on the left-hand ring finger but not every culture does this. There are some stories that say this started because someone said there is a vein in that finger that goes all the way to the heart. In ancient Roman times, women wore two different rings. There was one ring made of iron that she only had on when she was at home and then another ring that was gold that she wore outside of the home. An engagement ring can also be a wedding ring. However, if a person has an engagement ring and a wedding ring they will not wear the engagement ring to their wedding. During the wedding, only the wedding ring will be put on. After the ceremony, the engagement ring will be put back on the finger on top of their wedding ring. A lot of people will also get their wedding ring and engagement ring molded together after the wedding so it becomes one ring. Others will keep them separated so when they travel they just wear one of the rings. In the US, a woman could actually sue her fiance if he broke up with her. This ended sometime in the 1930s. When they got rid of this law the demand for diamonds was much lower than the supply. Also, after the Great Depression in the US, engagement rings popularity went down quite a bit. This is also when an ad campaign came out focusing on diamonds. It basically stated that a diamond and how nice of a diamond a man picked out meant that is how much he loved his wife. The slogan of the ad campaign was “diamonds are forever”. This is why people keep their diamonds as family heirlooms. Also, another reason why you should always know where your ring is sourced from. The cost of an engagement ring varies a lot. It depends on if it is a diamond and how nice of a diamond it is. Diamonds are measured by their clarity, cut, color and weight. Other gemstones are classified differently. If a person cannot afford a diamond there are options for stones that mimic diamonds such as cubic zirconia.